We left off the last update right before Christmas, so we're playing catch-up here. 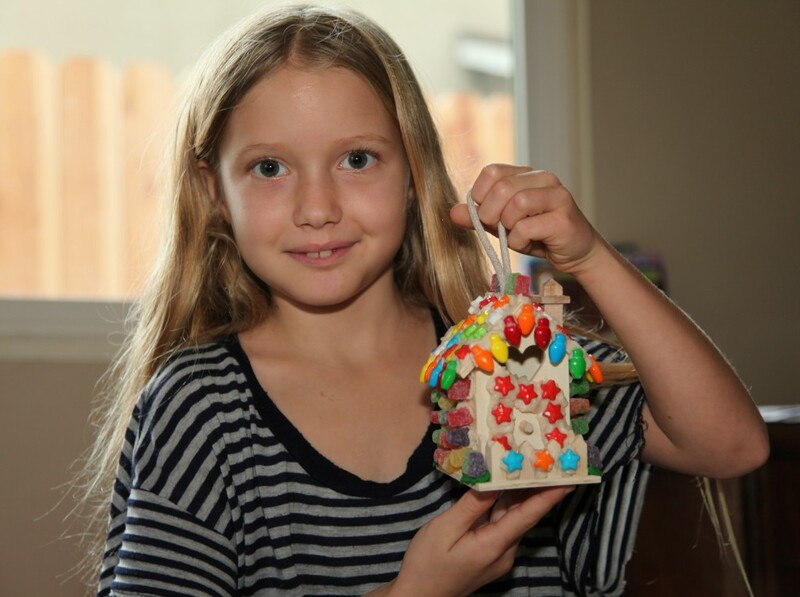 Mia is showing off her gingerbread house. 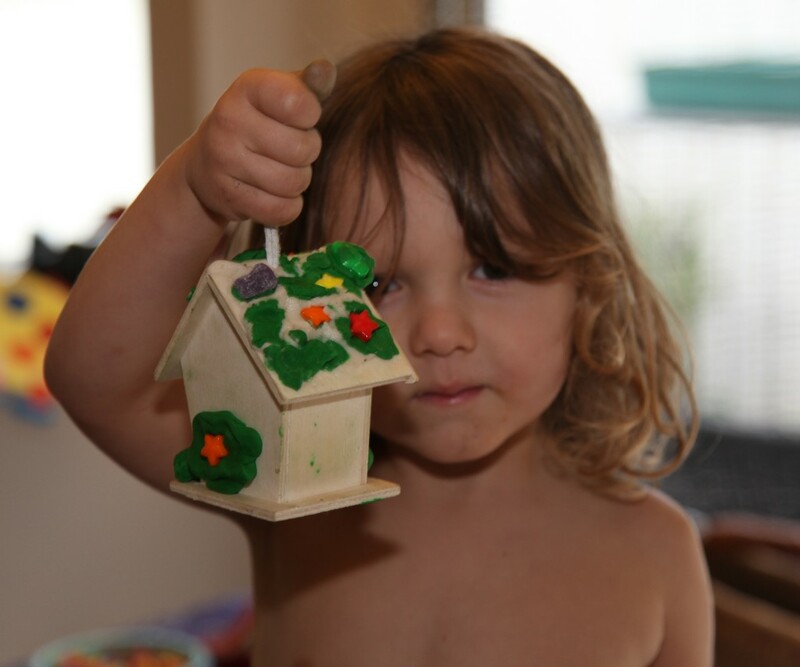 Miles showing off his gingerbread house. 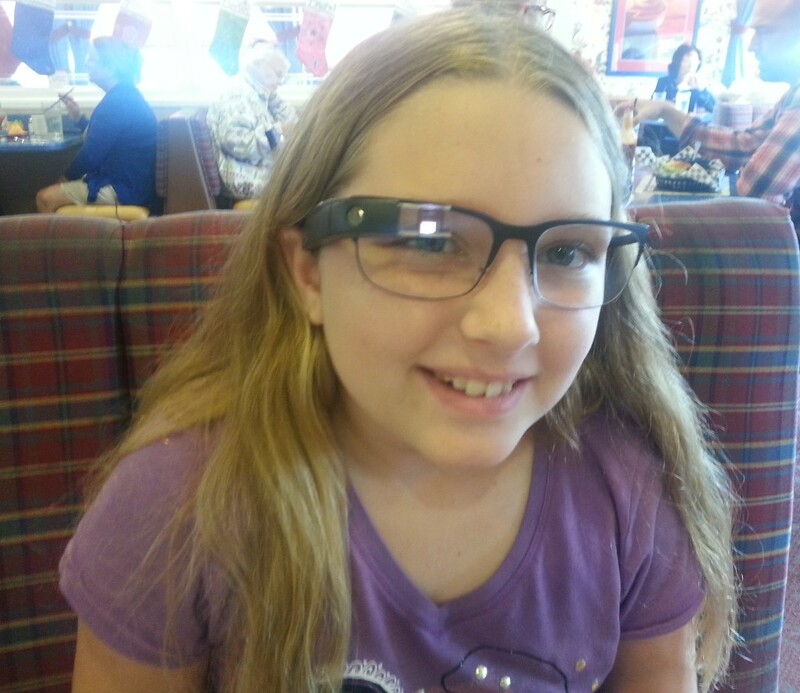 Uncle Dave stopped by for a visit, and Amelie had a chance to try on his pair of google glass. She said she watched a video on them. 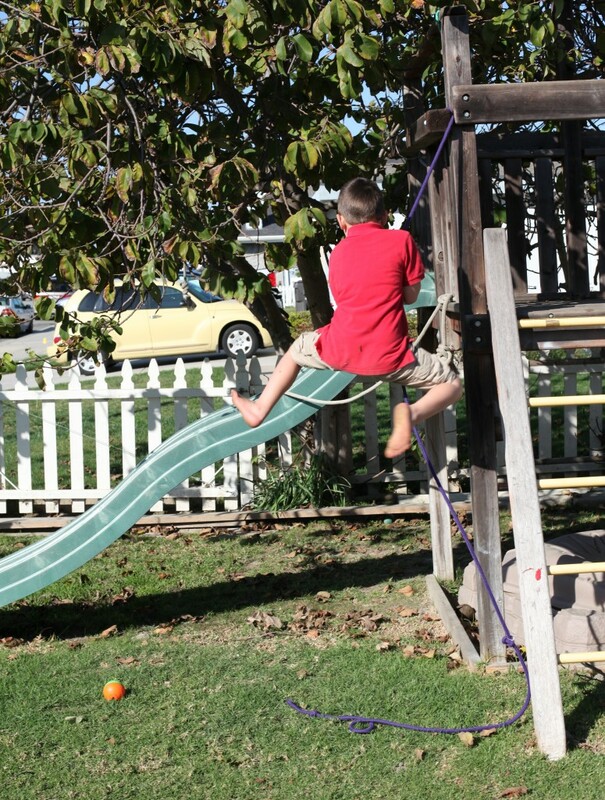 Uncle Dave gave the kids silly string, so they made an obstacle course through the monkey bars. 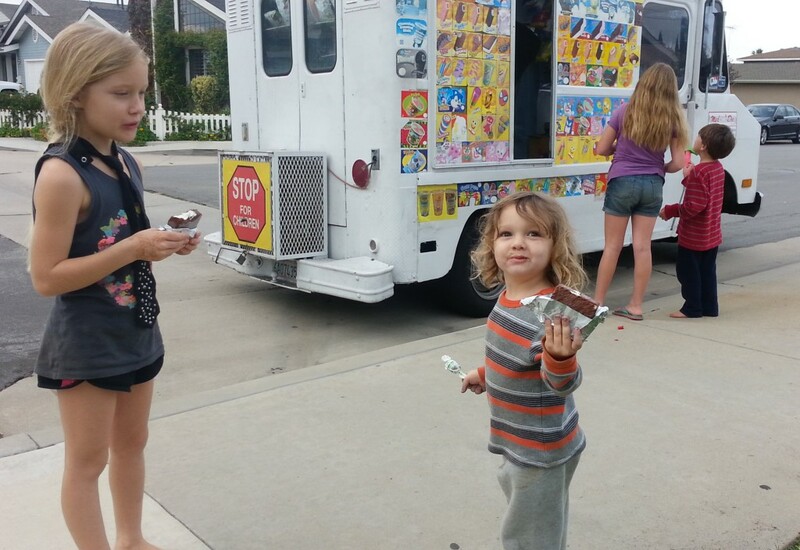 Uncle Dave also treated the kids to the ice cream man, a rare treat. Desmond is a very physical boy. He's climbing and jumping and swinging off everything he can find. 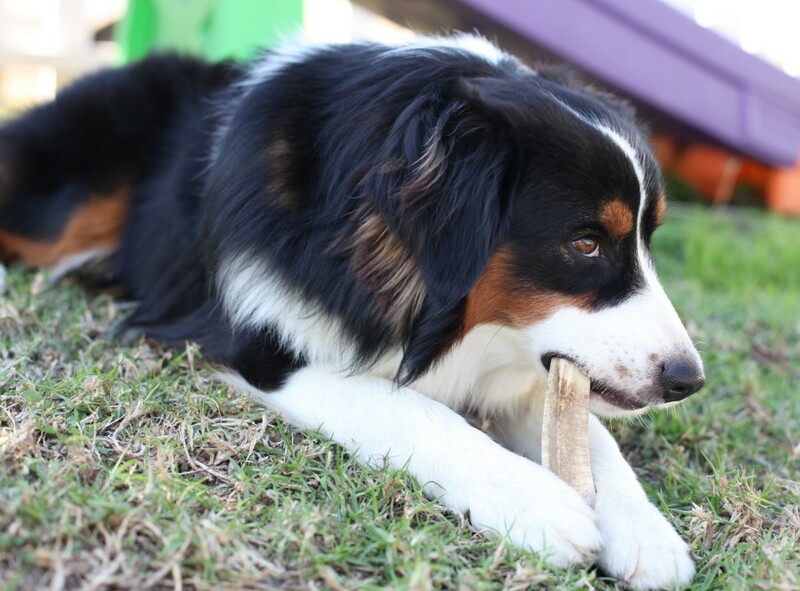 Buddy is not a puppy any more, but he's still a great dog. If only he wouldn't jump up on people, that would be even better. We're working on it. 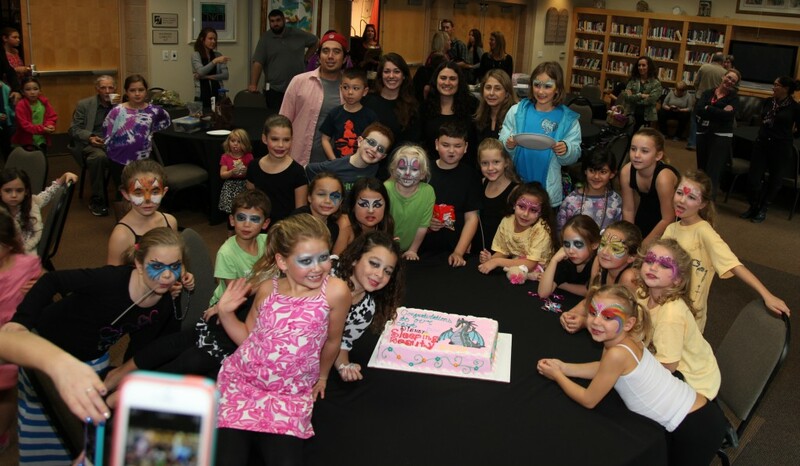 Mia was in another play at the Merage Jewish Community Center, Sleeping Beauty. She was awesome and had a great time. 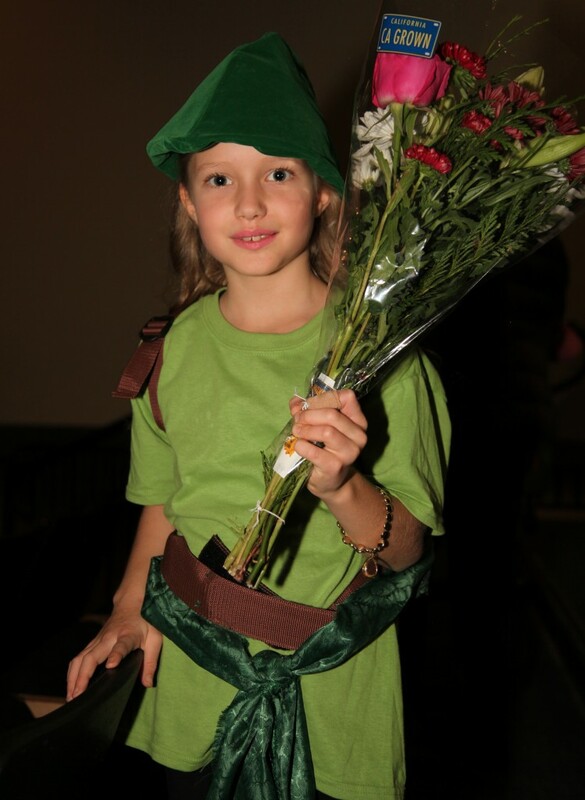 Mia is in her turtle costume here, she did a great job in the play. 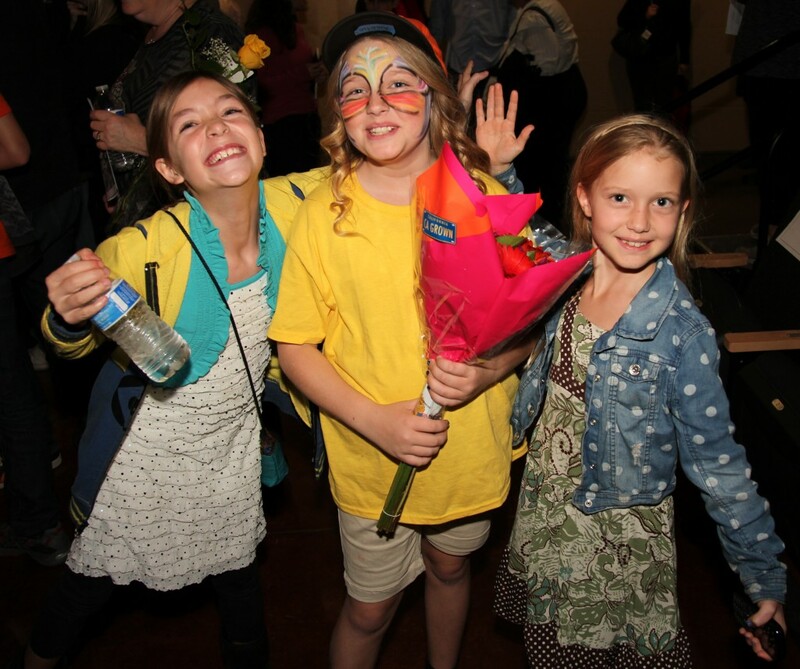 About a month later, Amelie was also in another play at the JCC, Honk, Jr. (the Ugly Duckling). She was a duckling. 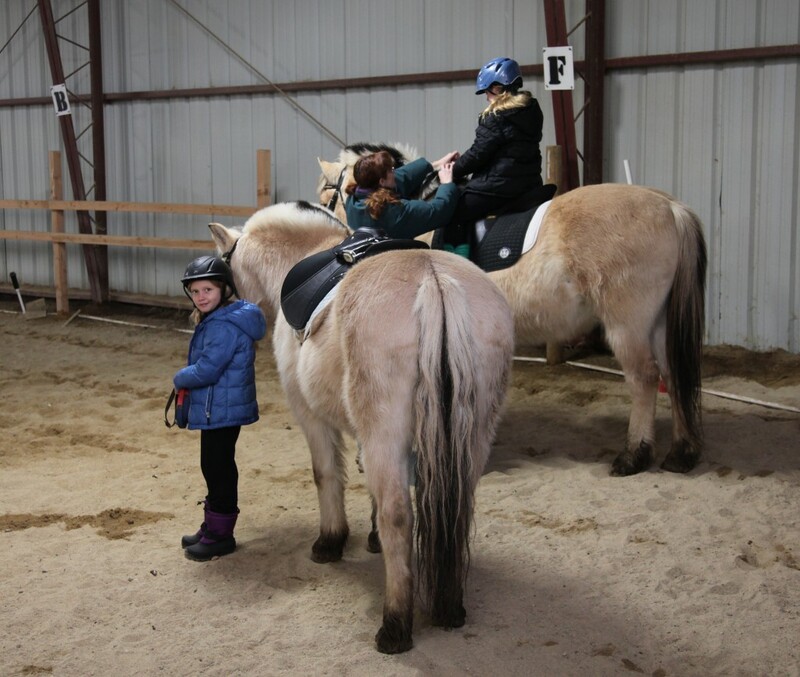 This is Amelie and Mia with their friend Hannah. 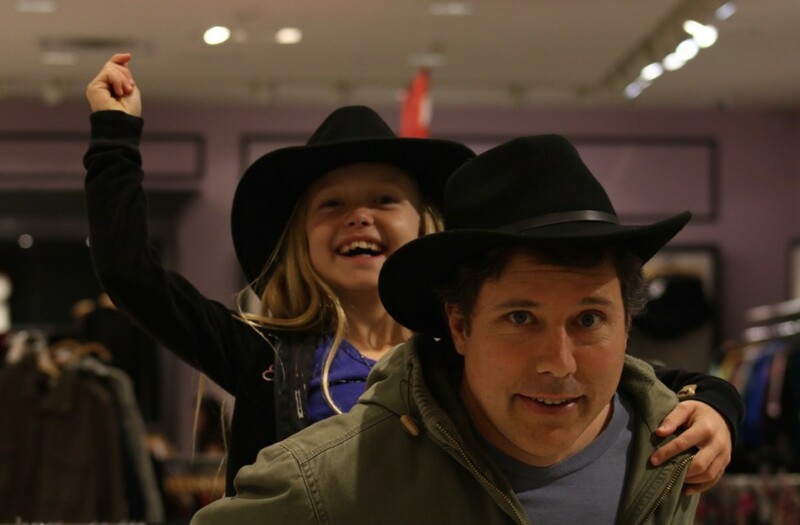 I took Mia to Fashion Island and we were playing around with the hats in one of the stores. She looks like she's really enjoying herself. 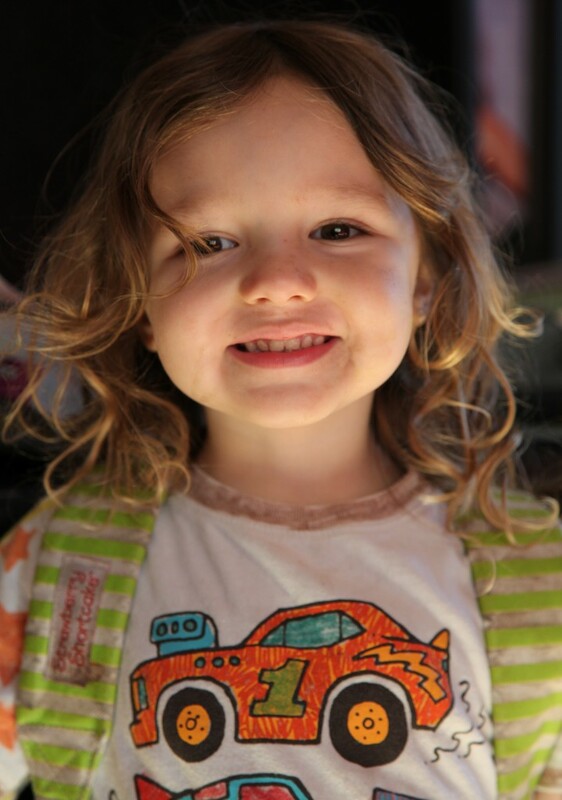 Miles is three and a half now, and he's talking all the time now. He's also got this backpack on constantly, he even sleeps with it on. 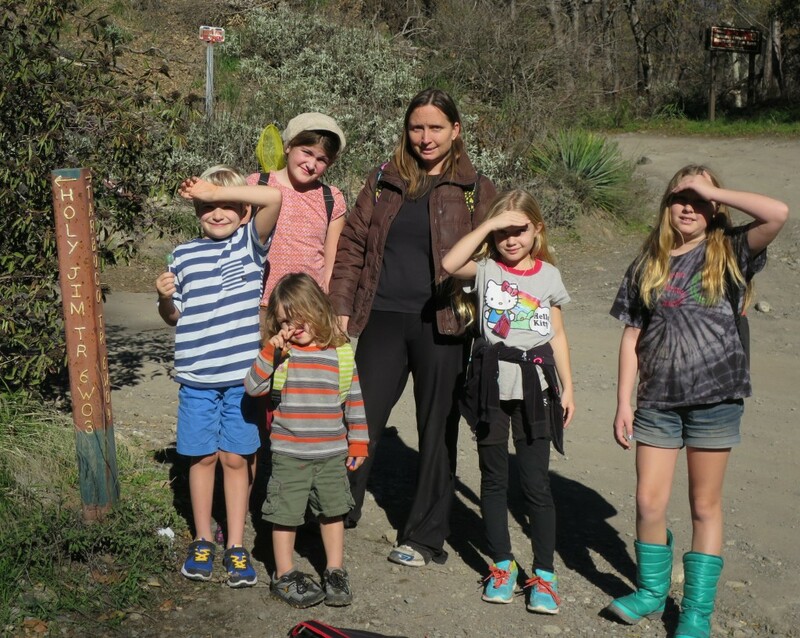 Naomi took the kids hiking on the Holy Jim Trail with some of their friends. 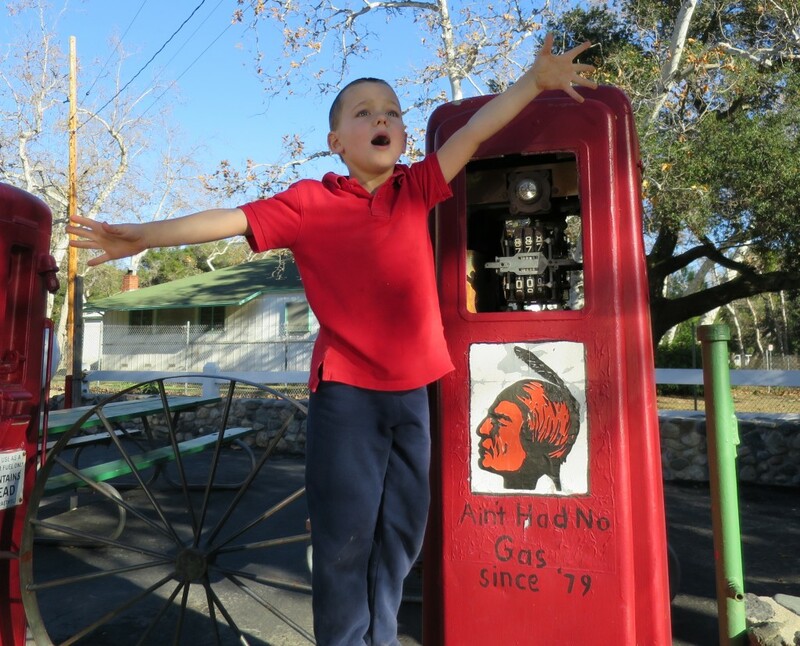 I'm not quite sure what Desmond is doing here, looks like he's singing. 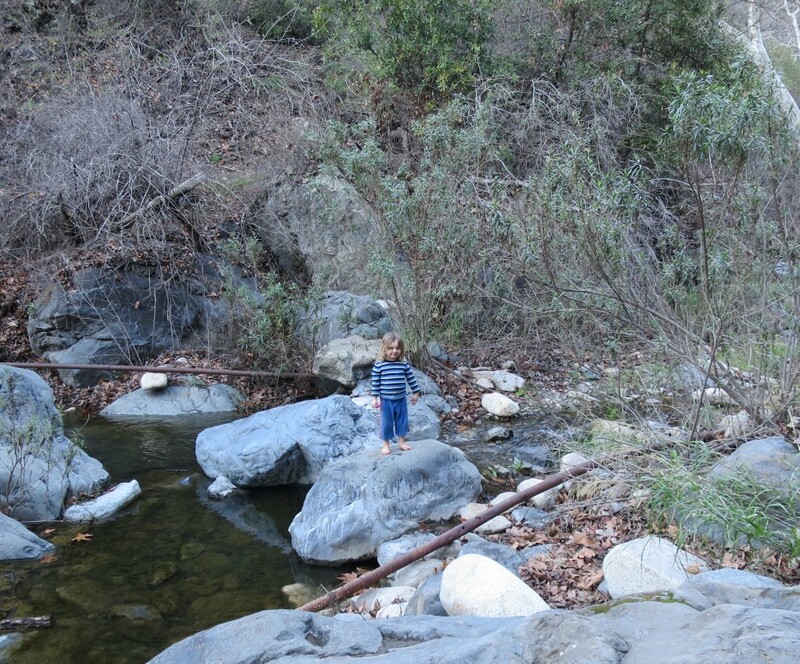 Miles hanging out in the stream there. 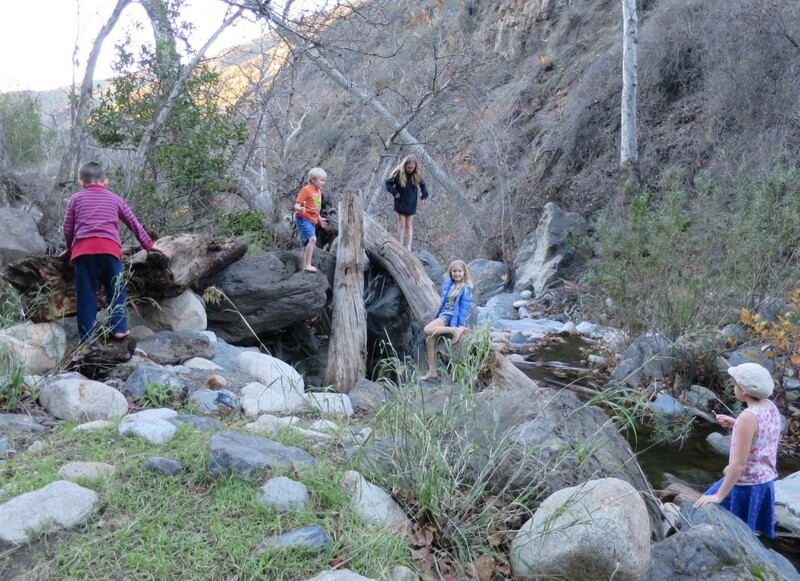 Streams are a lot of fun to play in, they spent all day there. I like this video because of Mia's commentary. We've been looking at other places to live for the last couple of years. 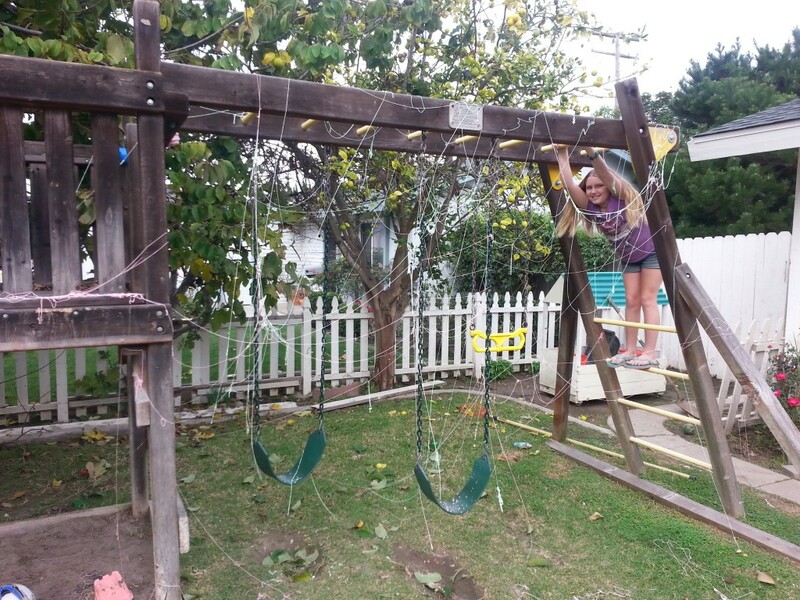 Naomi wants more nature and open spaces for the kids. 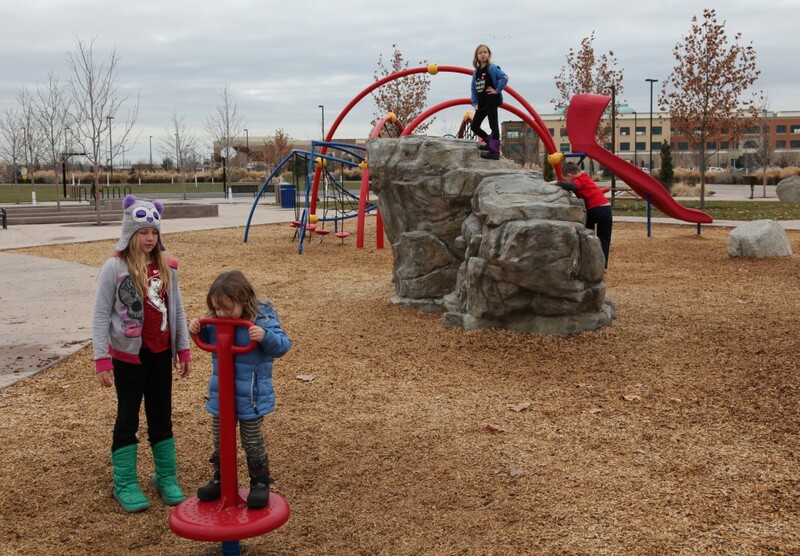 We checked out Sebastopol in Northern California and Boulder, Colorado, and then Naomi found Boise, Idaho on a list of ten best places to raise a family. Naomi did a tremendous amount of research learning about the area and then we went there for a week, and we all enjoyed it. 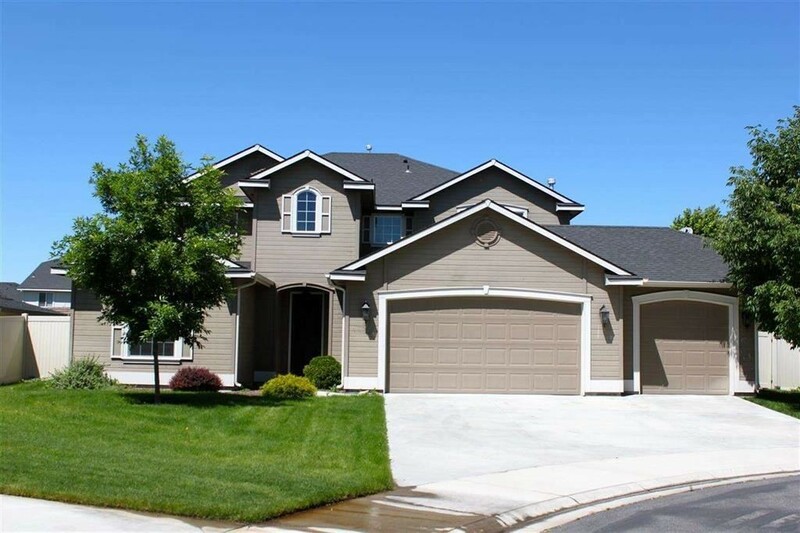 So before we left we put an offer in on this house in a suburb of Boise. 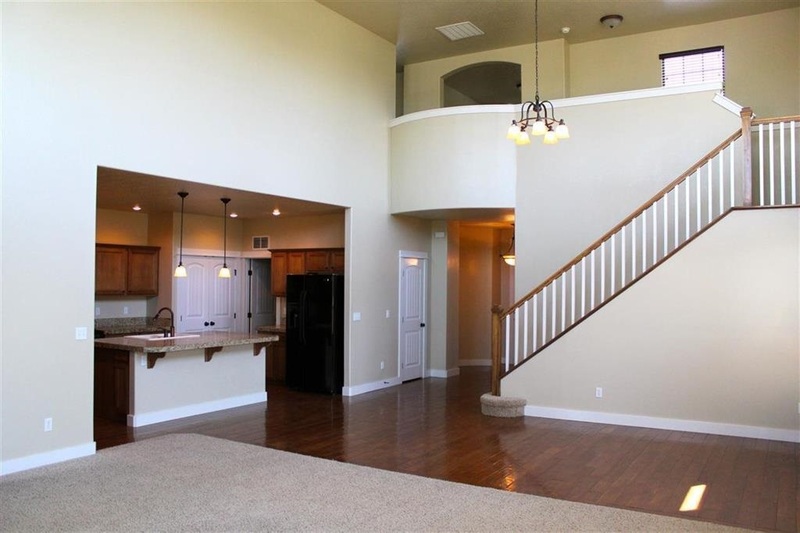 This house is way nicer than our current house, and it's nice and bright, which we really like. 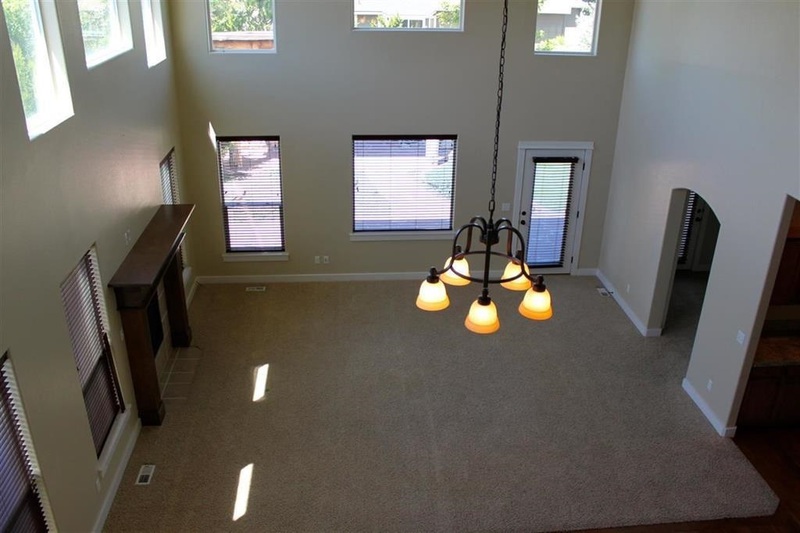 Our house now has a lot of light so we were looking for something similar. It's also twice as big as our house, since Idaho real estate is a third the price of real estate in Southern California. It's two stories, and I have to say, we're quite concerned about what dangerous thing Desmond will decide to do with those stairs. 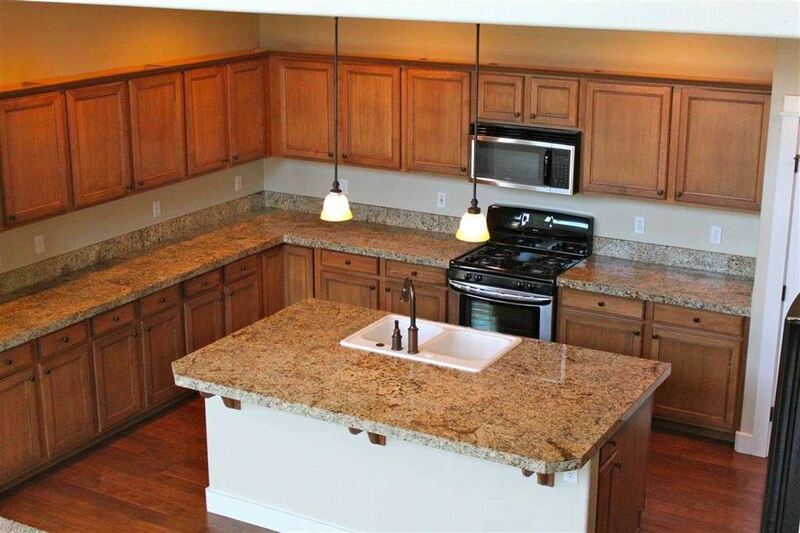 The kitchen is also huge, way too big for my taste. The seller is leaving the fridge, washer and dryer as well, which is nice. He's also leaving a really nice pool table upstairs, because there's no way anybody is carrying it back down those stairs. 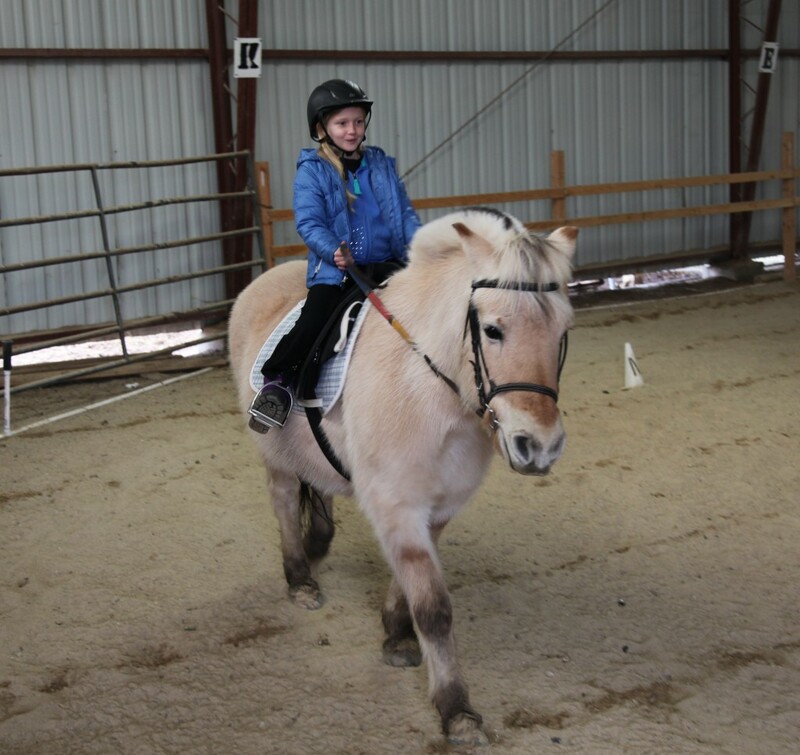 Naomi found a place does horse lessons with Norwegian fjord horses, which are supposed to be the most gentle breed of horse. To me, though, they just seemed lazy. It was pretty hard to get them moving. 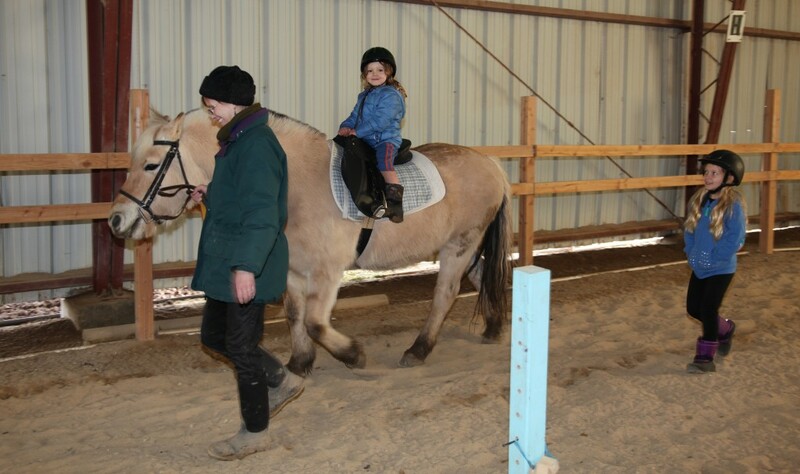 This is the first time Mia has taken in interest in horses, she had a great time. Even Miles got to take a turn around the arena. 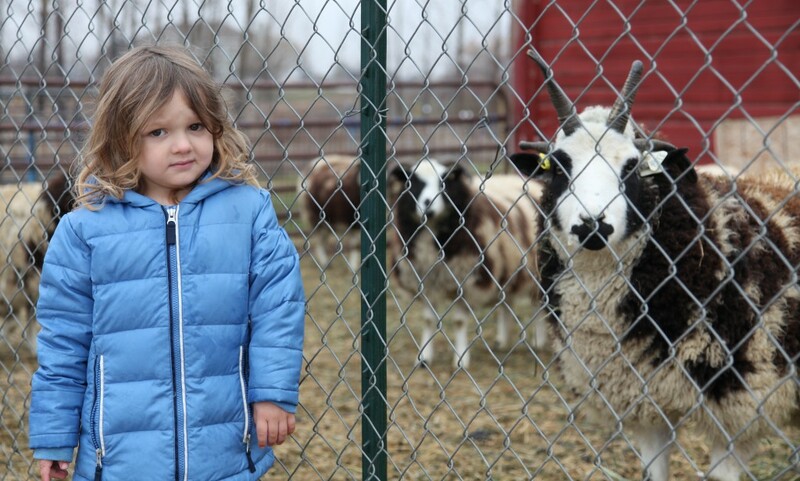 They also had Jacob sheep on the farm, they have four horns. Miles looks a little nervous. 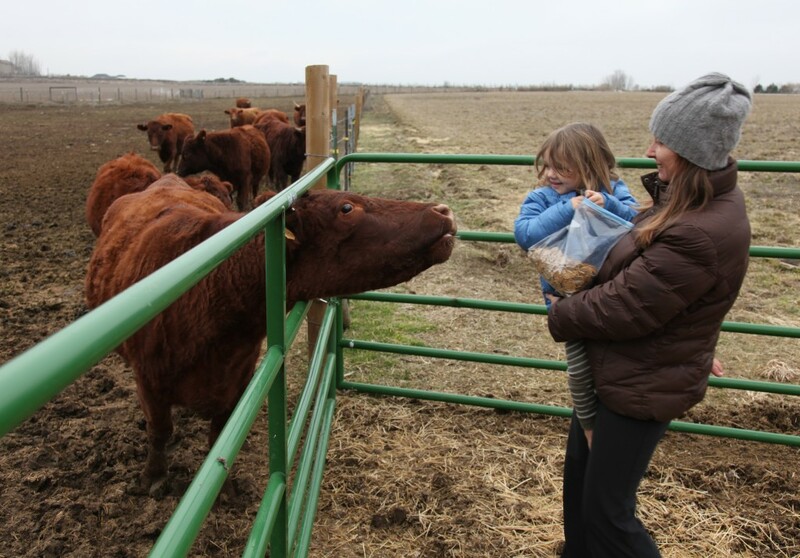 Miles did better with the cows. They had these big red cows and when we went over to the fence they would all start mooing at us. 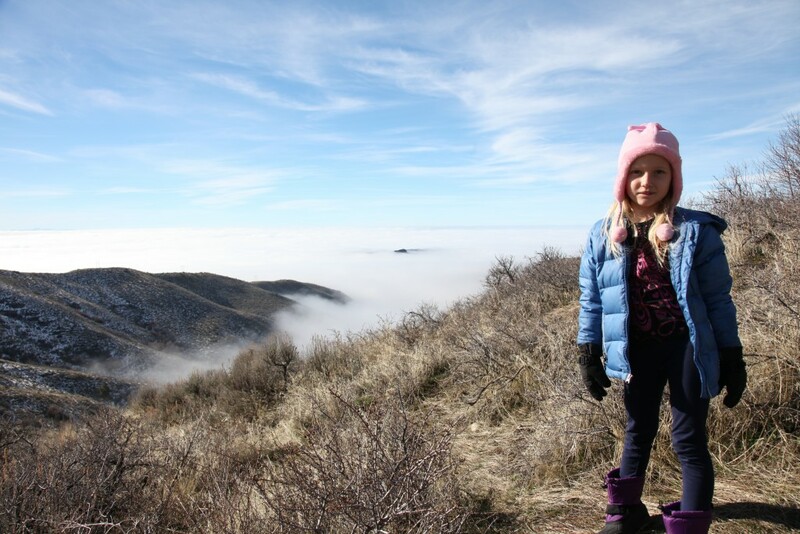 For a few days while we were there it was so gloomy, and Naomi explained that since Boise is in a valley, all the pollution causes an inversion layer to form over the area during winter. It was pretty bad, in fact. On the way up to the ski resort, though, we got above the inversion layer and it was much nicer. It's just a sea of gloom under that fog behind Mia. 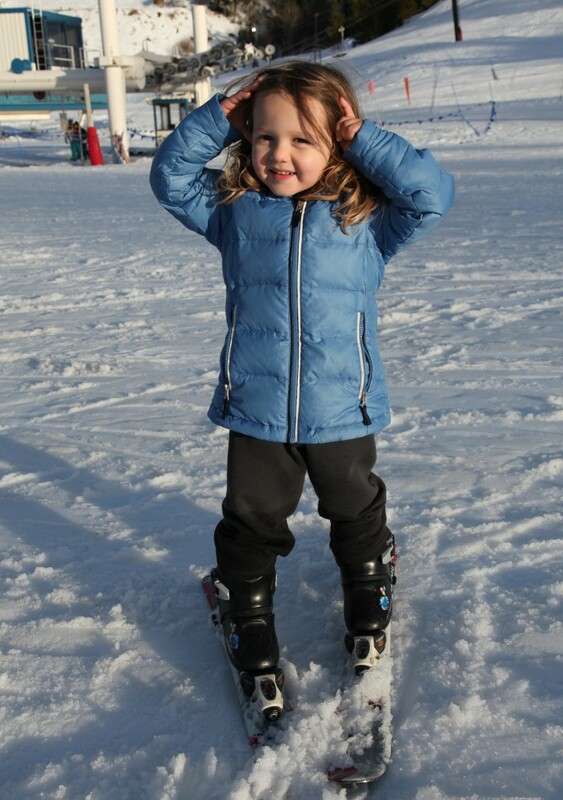 This was the kids first time skiing. They really enjoyed it, so we ended up coming back again later in the week. 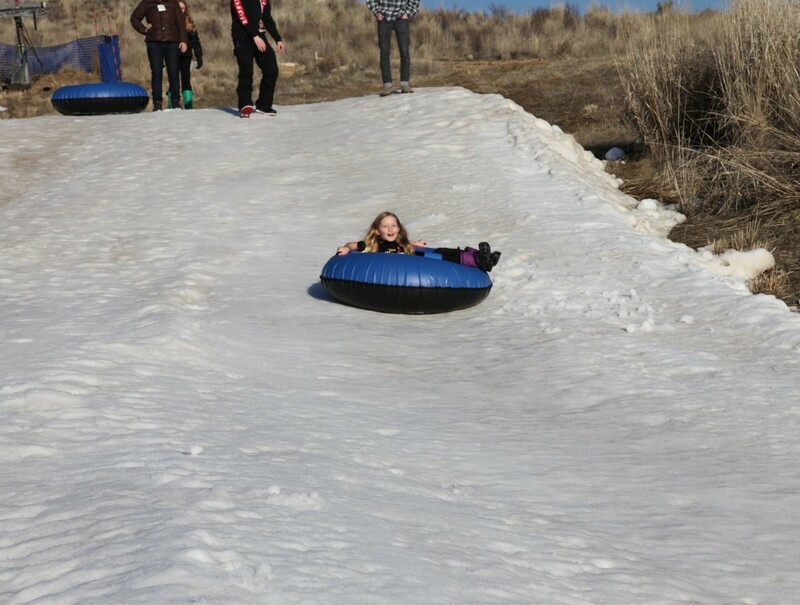 We were at a place called Bogus Basin, which seemed like a basic but enjoyable resort. It was pretty cheap, too, compared to Big Bear. It's only $10 if you stick to the bunny slopes. I would push Miles up the bunny slope a bit and then let him slide down. Unfortunately, I was in shorts and sandals, so every now and then I would reach down to make sure I could feel my toes. 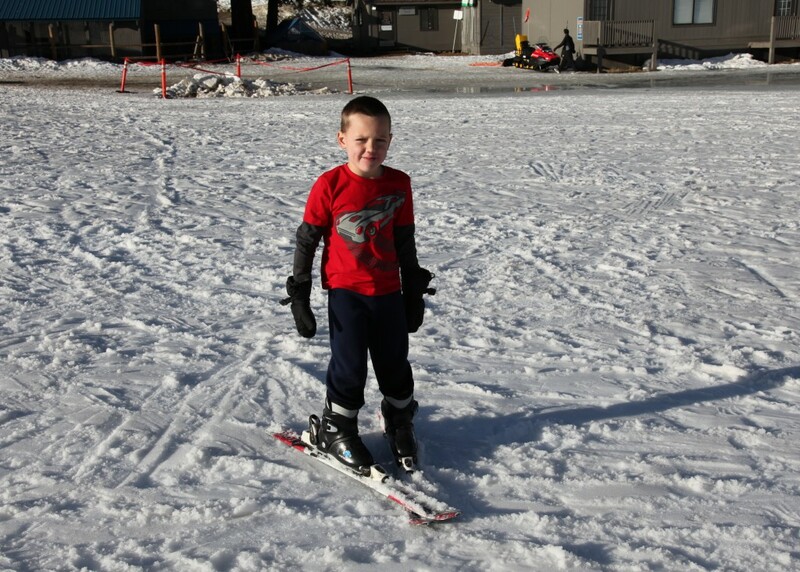 Desmond quickly got used to the skiis, but he had trouble stopping. The best part of the day was when Desmond took the magic carpet to the top of the bunny hill and then came straight down without really snow plowing to slow down. Naomi was at the bottom of the hill yelling, "More pizza!". That's what she called the snow plow, pizza to slow down and french fries to go fast. 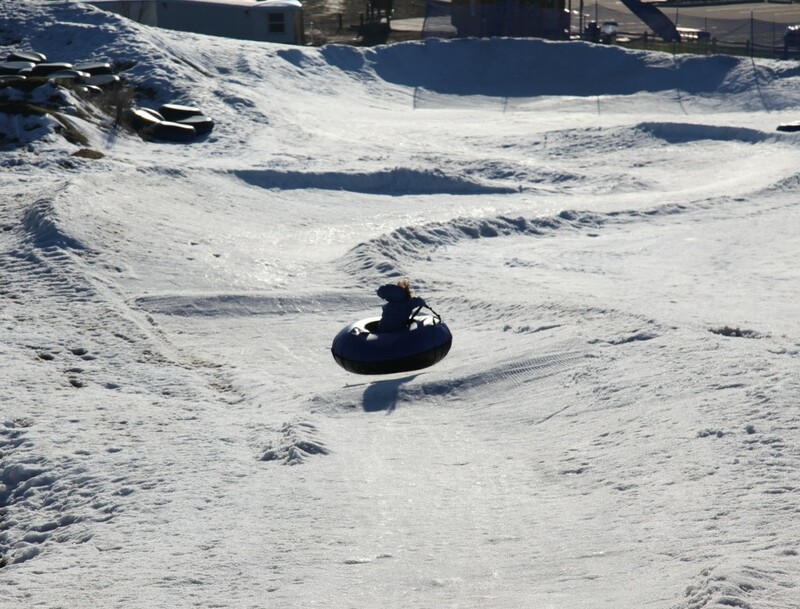 We went to a tubing park in town where they just run snow blowers to make a course. 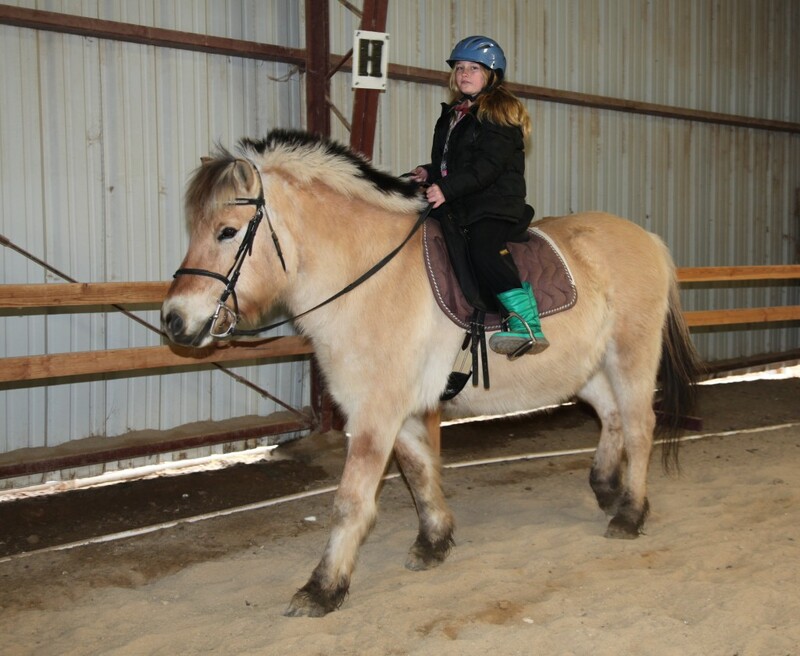 Mia was crazy, she kept telling the attendant that she wanted him to give her as big a push as possible at the start. We were the only ones there so it was a lot of fun, just going up and down for an hour. Miles was pretty brave, he would hit the first bump and go flying but he hung and had a blast. There's a park with a mile long walking loop around it right behind the house we bought. It's really nice. Behind the park is an outdoor shopping mall. 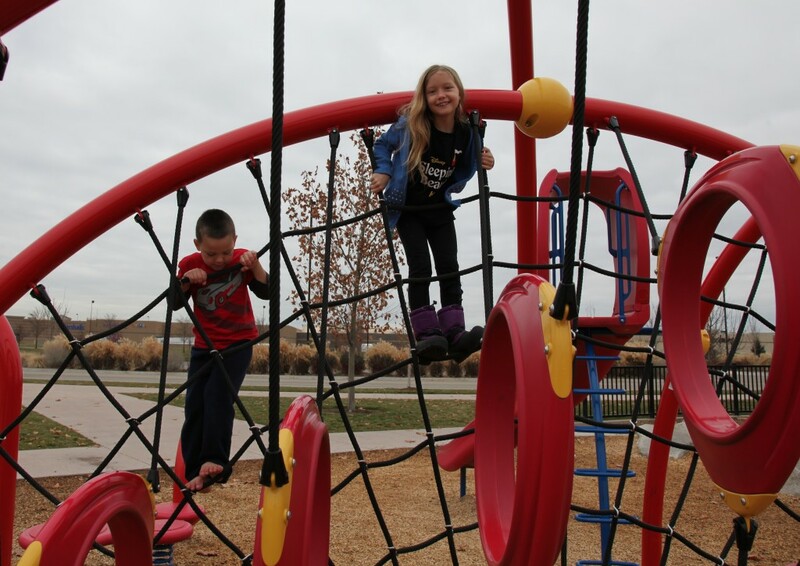 Climbing on the spider web at the park. The kids like stopping at hotels so they can swim and use the exercise room. I think they only like the exercise room because they can put the TV on any channel they want. Desmond is still learning to swim, but he is getting there a little at a time. He did almost drown in the pool, though, but Naomi pulled him out. He swam out too far from the edge, got tired and just sank. 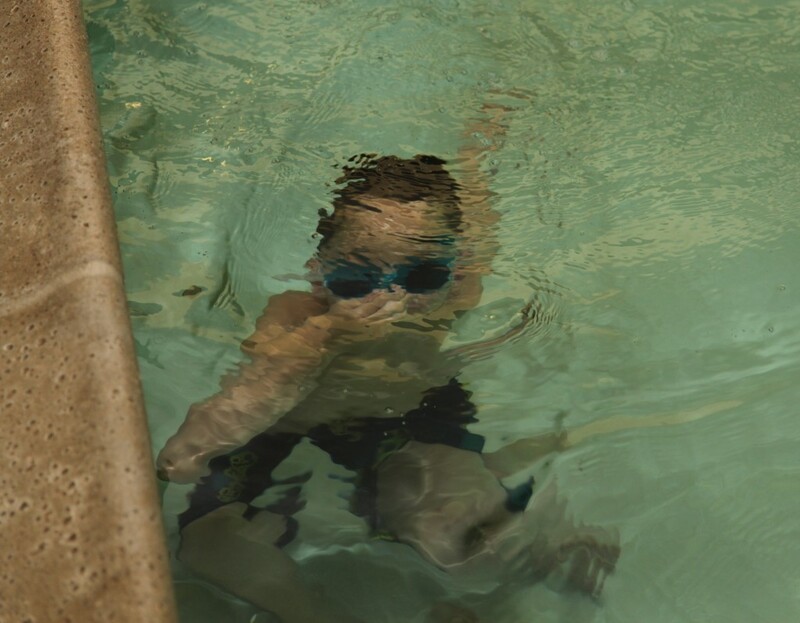 It seems crazy, but every one of our kids has almost drowned multiple times, so we never look away when they're in the pool. This picture is not of him drowning, though, he's underwater on purpose, holding his breath. 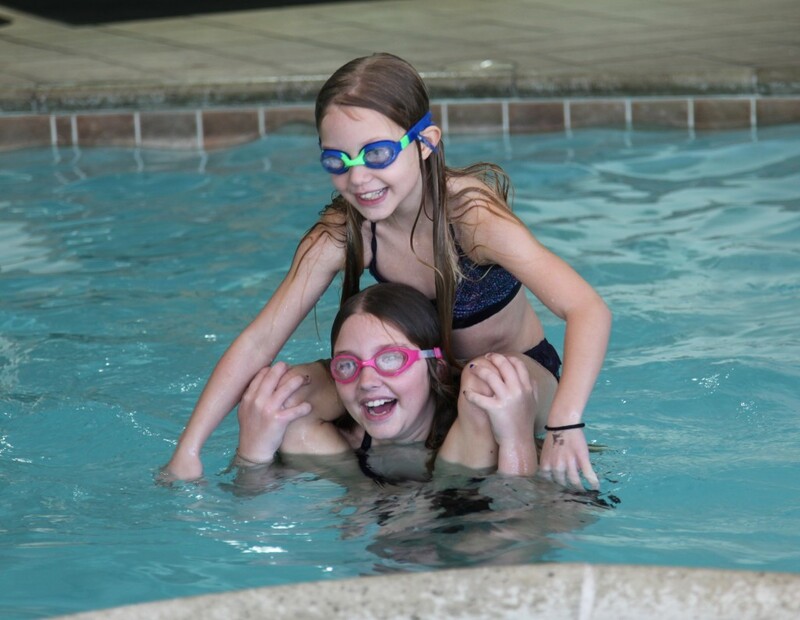 Amelie and Mia, though, passed the swim test at the YMCA, so they're doing okay. Until next time, ride 'em cowboy!